There are many options one can exercise when it comes to having pets. The common choices are dogs and cats but there are people who take a different route and choose less common options for pets. Getting a turtle is one choice. 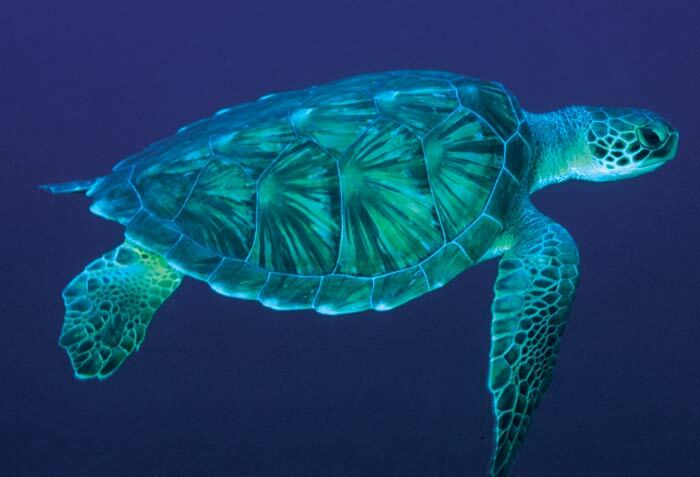 Turtles are found in different kinds of conditions and there are many varieties within them. 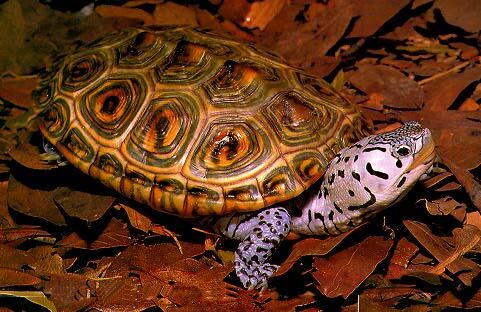 Often people are unable to differentiate between a turtle and a terrapin. These two are indeed very similar in nature but there are certain noticeable differences that can guide you in identifying which one is in front of you. Turtles naturally have their habitat in salty water or sea, whereas terrapins are found in fresh or brackish water environments. The turtles have flippers instead of feet that help them in mobility as per their requirements. 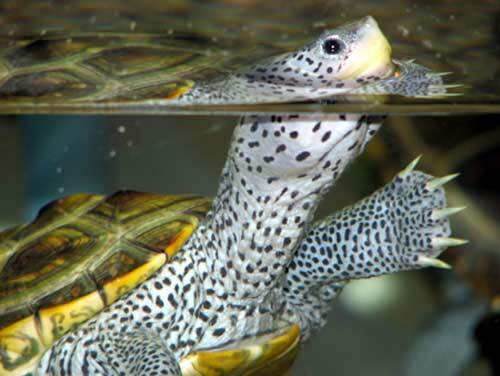 On the other hand, the terrapins have regular feet. In order to get rid of the salt from the water that they consume, the turtles have a salt gland which is generally located in the corner of their eye, tongue or in their nostrils. Since the terrapins do not live in salty water, they do not need this gland and it is missing in them. The shells of the turtles are extremely hard whereas the shells of terrapins are softer in nature when compared to the turtles. These are hard shelled reptiles that live mostly in salty water conditions. Their shell is extremely hard and most animals are unable to break it; hence they use it for protection. Given the bulk they carry, their movement is very slow and lethargic. They are present in various sizes and generally the smaller species make for great pets. These cold blooded animals have a long life span and can live from 30 to 150 years in some cases. There is a wide range of terrapins that are in the wild. They mostly live in fresh water or in swamps depending on the given species. Despite their natural habitats being in fresh waters, there are some examples of terrapins adapting to coastal environments. These are strong swimmers by nature and have webbed limbs to aid their efforts. Their teeth are also very strong and can crush the shells of other animals when they prey on them. They themselves have a shell which is quite strong and is a defence mechanism against predators.